Katha Pollitt is my latest hero. I wasn’t even familiar with her work until I heard her on a recent episode of NPR’s Fresh Air. An American feminist writer, Pollitt is perhaps best known for her column “Subject to Debate” in The Nation magazine. But all that means squat to me. Ms. Pollitt is my new hero because she has balls. Her new book, Learning to Drive and Other Life Stories, includes essays about discovering her boyfriend was unfaithful and her subsequent response, which included web-stalking him. Her friends cautioned her about publishing these stories. What kind of self-respecting feminist tells stories like these? But what you can’t do is really present, in a full detailed emotional way, what it feels like to be in an ordinary loser situation and just tell what it was like. There has to be a moral in American literature. This is one of the big problems. I have felt these same things approaching some of my essays. As an unpublished writer with few political affiliations, the stakes are much different for me than for Ms. Pollitt. But even with little name recognition, anyone who writes honestly about their lives puts it on the line in a way that other writers never really do. I am glad Ms. Pollitt had the courage to publish her work, even if she risks losing some of her luster in certain circles. Of course, Katha Pollitt had balls long before she chose to publish Learning to Drive. Here is my favorite Pollitt story from a quick scan of the Web. Tim– I went to The Nation and read Katha Pollitt’s piece. So controversial at the time; so right on these days. I love The Nation. My parents subscribe and occasionally send us copies, which we devour from one end to the other. They are sure they are on a Bush watchdog list for reading, what they refer to as, The Commie News. Thank the freedom of speech gods that they exist so people like Pollitt can express themselves and we might read. Thanks for the link. I enjoyed reading it. And, it just goes to show that you can be ahead of your time. Memo to self–go write something! Okay she has balls. So do I, and for some of her comments I’d like to kick her in them. She misrepresents with the best of them. Tim, I came back to say . . . maybe I reacted a bit. Sorry about my comment. But, I can’t undo it. We’re all free to speak our minds here, Ruth! You have nothing to apologize for. I’m glad you felt comfortable enough to post your opinion. I’m not clear what you believe Katha Pollitt has misrepresented, though. Care to elaborate? Damn, she makes me mad. 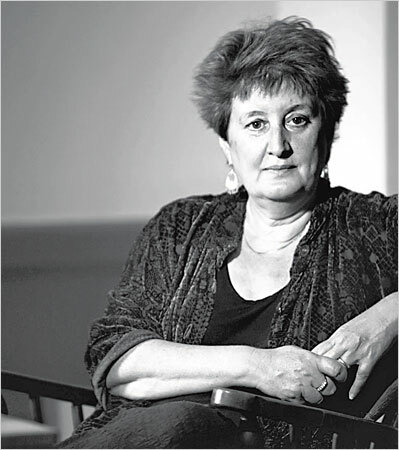 About the time Katha Pollitt was refusing to let her daughter fly the flag from thier living room window, I was calling my (then) 16 year old son to tell him his last name was Arabic. Having lived with his mother most of his life, he had no idea. But it’s clearly an Arabic name and I wanted him to know in case someone tried to pull something on him. I didn’t get the feeling Ms Pollitt was speaking for all Americans. At the time, I actually did hang a flag from our house. I don’t regret putting that flag out there, but I’m glad I read this piece. I felt some of the jingoism she talks about.